A source within the facility said staff had to assist gardaí in restraining them. 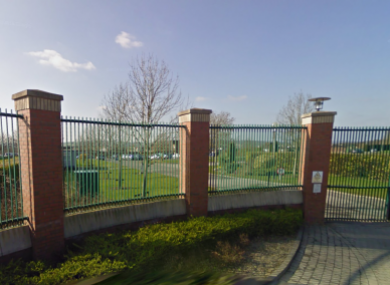 EMERGENCY SERVICES WERE called to the Oberstown detention centre in Dublin yesterday to deal with a fire set by three inmates. The blaze was started in a living area of the Lusk centre, which provides secure accommodation for young offenders between the ages of 10 and 17. The campus manager said no injuries of concern were sustained by staff or young people. “No significant damage” was done and the campus continued to operate as normal during the incident, the manager said. However, a source within the facility said the youths set the fire while trashing a multi-purpose room. They said the boys took out a security camera, shattered a glass panel, pulled down secured lights and broke a TV set and Xbox. Gardaí were called to the scene and had to be assisted by staff in restraining the inmates, the source said. Oberstown has come under pressure in recent months to improve conditions for young people living there. Watchdog Hiqa last year identified several security concerns at the facility, including issues around fire safety. Its October 2015 report on the centre noted a lack of fire safety training and drills for inmates, inconsistencies in care planning and a low provision of offending behaviour programmes. The Irish Penal Reform Trust has also criticised Oberstown’s continued use of single separation – the isolation of disruptive individuals – as a response to negative behaviour. Read: Prisoners can vote – so why don’t they? Email “Three youths start fire while 'trashing' room at Dublin detention centre”. Feedback on “Three youths start fire while 'trashing' room at Dublin detention centre”.